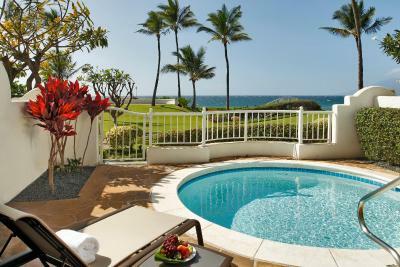 Lock in a great price for Fairmont Kea Lani, Maui – rated 9.1 by recent guests! All rooms are suites. We were impressed with the space and decor. It was comfortable. Pool and room service was available 24 hours a day so if you want to avoid crowds swim at night and order in. Grounds are beautiful and lush, very much the ideal of a Hawaiian vacation. Staff from front desk, room service to grounds and housekeeping were all very friendly and pleasant. The breakfast buffet and menu at the restaurant was pretty pricey. We ate a lot from the snack shop for breakfast. That breakfast was just fine. The service from the bell station ! TERRIFIC AND HOSPITABLE! Pool and access to beach was fantastic. KO restaurant food had fantastic flavor and entire family enjoyed this restaurant. A great place with excellent ocean views. All the perks you could ask for. 3 different pools as well. They provide complimentary snorkel sets if you would like to explore the ocean. The suite is large and very comfortable. Great place to spend a relaxing vacation. 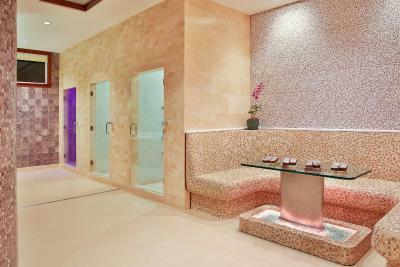 Beach, pool, spa services are outstanding. Location is ideal. The cleaning crew seen it was our wedding day and ran down the hallway 👏🏻.. THEN they held the door open throwing orchids at us .. just simply amazing woman !! Room was huge and clean ! We loved it !! Room service was excellent also! Thanks so much ! Heavenly pillows! Family friendly and doesn’t seem packed like the other larger resorts on Maui. 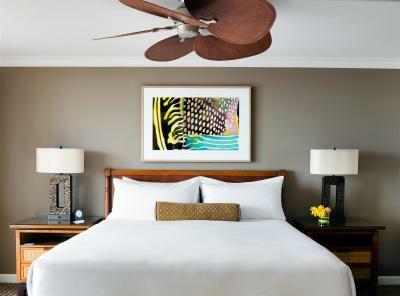 Fairmont Kea Lani, Maui This rating is a reflection of how the property compares to the industry standard when it comes to price, facilities and services available. It's based on a self-evaluation by the property. Use this rating to help choose your stay! 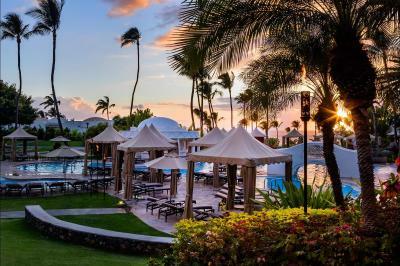 One of our top picks in Wailea.Overlooking the beautiful Pacific Ocean, Fairmont Kea Lani, Maui features a full-service spa and on-site dining. 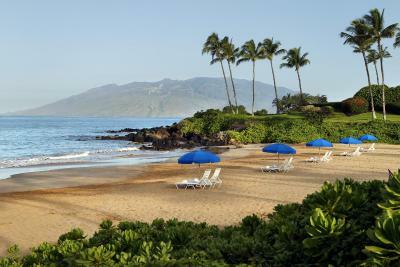 It offers free shuttle service to the Wailea Golf Club, located next to the resort. 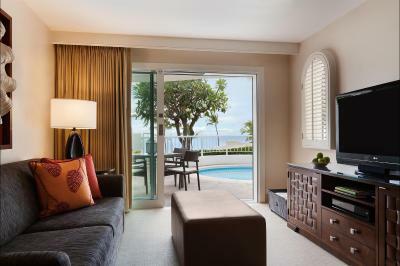 Each luxurious cabana-style suite at Fairmont Kea Lani Maui is equipped with free Wi-Fi and has a flat-screen TV and DVD player in the living area and the bedroom. 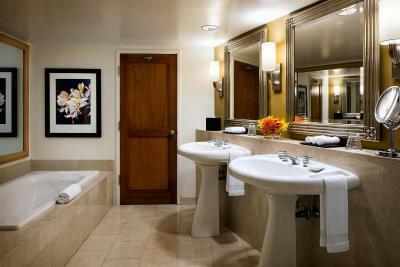 Guests can listen to music on the iPod docking station while relaxing in the bathroom’s deep soaking tub. 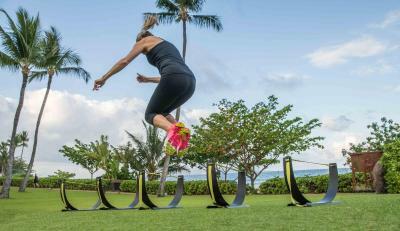 The 24-hour gym features flat-screen TVs and free fitness classes. 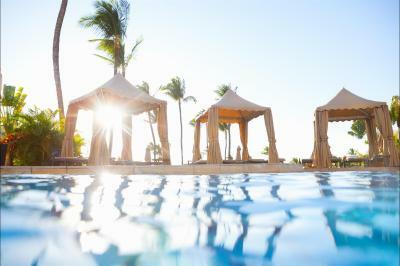 One of Fairmont Kea Lani, Maui’s 3 outdoor pools is adult only and another has a 126 feet high waterslide. Canoe tours and walking cultural tours are available. The casual Kea Lani Restaurant serves a breakfast buffet in the mornings, while Nick's Fishmarket Maui specializes in seafood and provides outdoor seating. Live entertainment and specialty martinis are offered at The Luana Lounge. 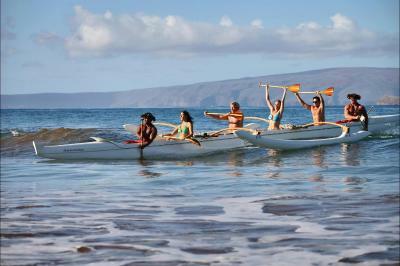 The Shops at Wailea are 1 miles from Fairmont Kea Lani, Maui. Makena State Park is a 5-minute drive from the property. 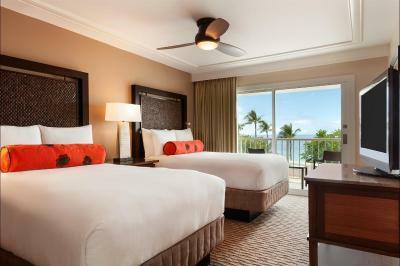 When would you like to stay at Fairmont Kea Lani, Maui? This 1-bedroom suite features a separate living room and bedroom, and includes a private balcony overlooking the neighborhood and resort landscaping. A large private bathroom with a double pedestal sink is also provided. This 1-bedroom suite features a separate living room with a sofa bed. Partial views of the pacific ocean are available from the windows and the private balcony. A large private bathroom with a double pedestal sink is also included. This 1-bedroom suite features a separate living room with a sofa bed. Views of the pacific ocean are available from the windows and the private balcony. A large private bathroom with a double pedestal sink is also included. 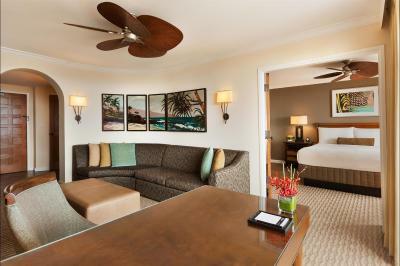 This spacious 2-room suite has views of tropical gardens, and features a separate sitting area and a private balcony. 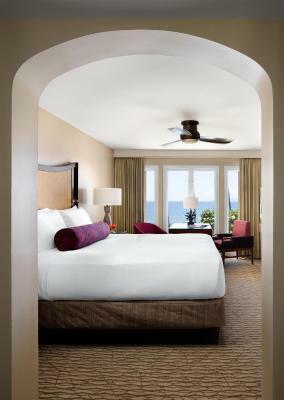 Featuring views of Mt.Haleakala, this spacious 2-room suite has a separate sitting area and a private balcony. This suite has a iPod dock, microwave and cable TV. This suite has a seating area, CD player and iPod dock. This villa has a balcony, microwave and iPod dock. This villa features a balcony, air conditioning and iPod dock. This villa has a balcony, iPod dock and air conditioning. This villa features a balcony, iPod dock and dining area. This suite has a iPod dock, microwave and electric kettle. This suite features a cable TV, electric kettle and seating area. This suite has a iPod dock, air conditioning and microwave. This suite features a seating area, dining area and electric kettle. This suite features a microwave, flat-screen TV and iPod dock. This villa has air conditioning, electric kettle and microwave. This villa features a cable TV, iPod dock and microwave. 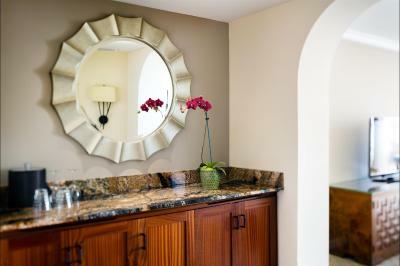 House Rules Fairmont Kea Lani, Maui takes special requests – add in the next step! 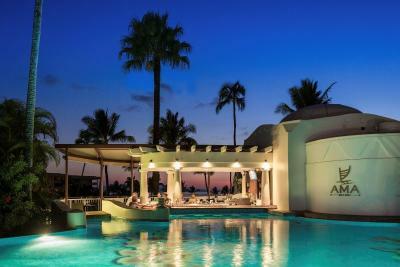 Fairmont Kea Lani, Maui accepts these cards and reserves the right to temporarily hold an amount prior to arrival. • Weekly Cultural activities including Hula and 'Ukulele Lessons, the Hawaiian Canoe Experience (advanced reservations required), E Komo Mai (Hawaiian cultural) tour, ‘Ōlelo Hawai‘i (Hawaiian Language) and authentic Hawaiian crafts. 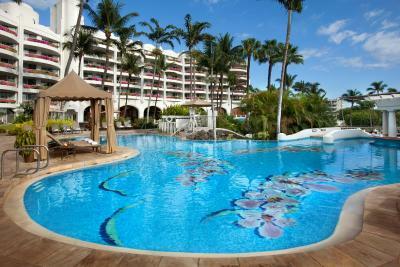 - Keiki Lani Kids Club is included in the daily resort charge. Advance reservations are required. Please note: Fitness classes, cultural activities, shuttle service and snorkel rentals are all subject to space availability. Our room had barely any view. For the price of the stay we expected a palace but supposedly a fortune for us is economy for the usual clientele so this resort is not for the budget minded traveler. The jacuzzi jets are automatic and on a timer so we went late at night to avoid the crowds with no jets. The pool areas were empty at night but also lots of litter. After 9pm the only way you can get bottled waters or other beverages or snacks without leaving the hotel is by room service. They charge $5 extra plus 20% fee for room service (that doesn’t include gratuity). We ended up going to Safeway at midnight for drinks and snacks.